If your bath seal has deteriorated over the years, sealing it yourself couldn’t be easier. It’s one of those jobs that sounds harder than it is and if you’re worried about it looking unprofessional, we have just the trick for you. 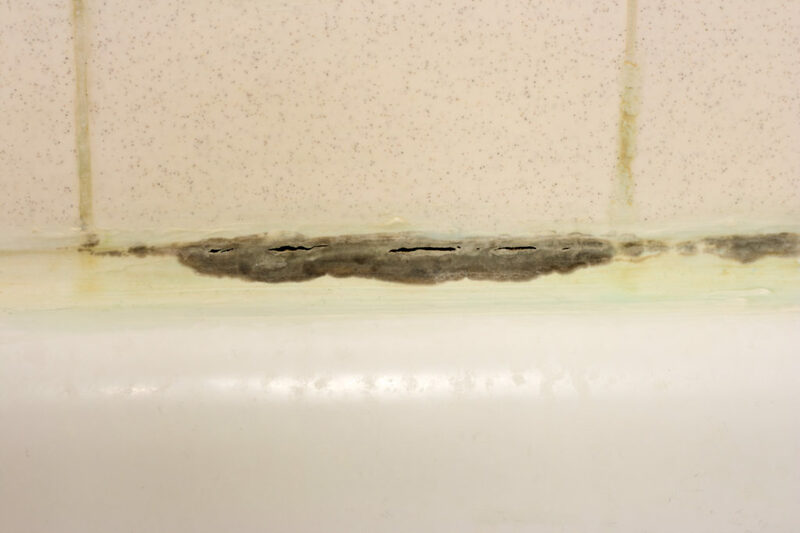 A deteriorated bath seal can create crevices for bacteria and mould to grow. It can also let water into parts of your home where it shouldn’t be, resulting in water damage to the walls, floor, electrics and, more worryingly, structural elements of your house. Even a small leak can go unnoticed and, over time, settle in the foundation of the house, encouraging damp. Here’s how you can fix and seal your bath and give it a professional finish using bath trim. Bath trim hides the join between tiled surfaces or wall panels around the bath. It will also cover any imperfections in the silicone you have used to seal where your bath meets the wall. Check that the area you are about to seal is free from old silicone. If it’s not, remove any old silicone with a putty knife and scrub any remaining silicone with an abrasive pad. Silicone is a skin irritant so avoid making contact with it by using protective gloves and old clothes. Fill the bath with water. This will weigh the bath down before you start to seal it. It also means you will apply enough silicone for the bath not to pull away from the wall when someone is having a bath. Check that the area you are about to seal is clean and dry. Applying silicone sealant over a wet or damp area can cause mould to grow under the sealed area. Place a strip of masking tape along the wall, just above where you are about to apply the silicone sealant. This will stop the silicone from spreading any further than it needs to go. It will also give the sealant a neat finish. Prepare your bath trim strips by cutting them to the right size using your Stanley knife. Bath trim is our solution for hiding any imperfections in the silicone sealant, so if you feel inexperienced handling silicone, there’s nothing to worry about. Unscrew the nozzle of the sealant tube and cut off the top. Cut the tip of the sealant tube where the nozzle will be slightly larger than the gap you are sealing. Insert the tube into the cartridge gun and gently squeeze the trigger. Move gradually, applying the sealant along the joint between the bath and the wall. Use the sealant finishing tool to remove any excess sealant and smooth the join. Using the cartridge gun again, apply a strip of silicone sealant to the inside of the cut bath seal trim. Press the strip neatly to the wall and make sure that the two edges fit flush together in the corner of the bath. 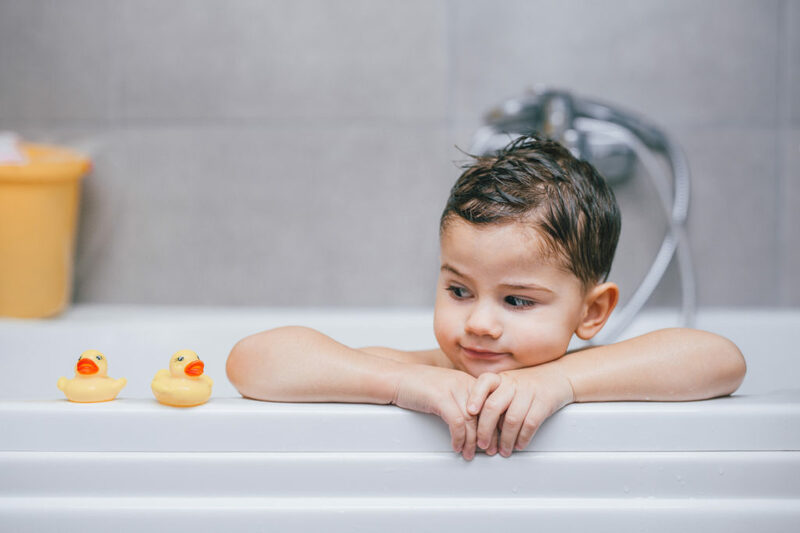 Wipe away any excess silicone that has been pushed out from beneath the bath seal trim and check for gaps between the trim and the bath or wall. If there are any, you can run a thin bead of silicone sealant into the crevice to further waterproof the seal. Finally, attach end caps to the end of the trim strip to provide a neat finish. This process will ensure your bath re-seal will look neat and clean while renewing its waterproofing. If you’re re-sealing your bath before you install wall panels or tiles, the process is slightly different and involves using a special clad seal trim kit instead. Take a look at our in depth guide to fitting wall panels for a tutorial on how to install bath trim at the same time as new wall coverings.